Location Downholme CP. White Scar. Geology Sheer cliff formed by the Main Limestone. 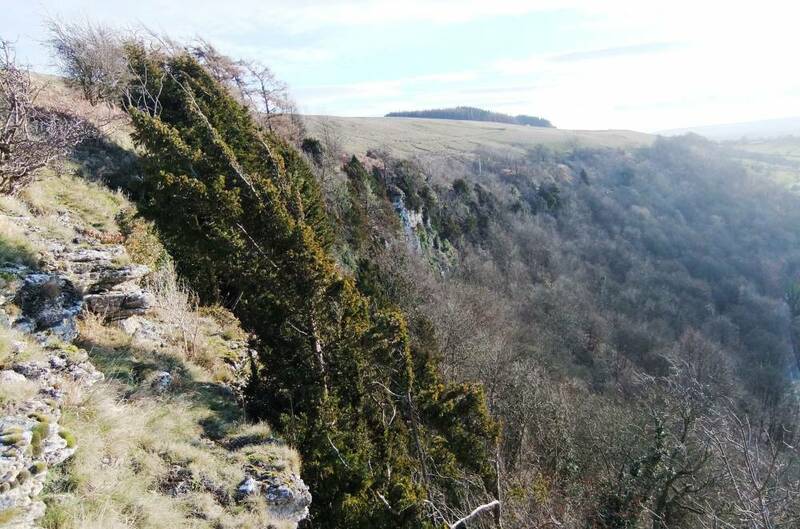 Record Name White Scar, Downholme..
Record Description Native limestone ashwood with yew, lime and oak coppice and the rare cliff whitebeam on and below White Scar, Downholme. Note! 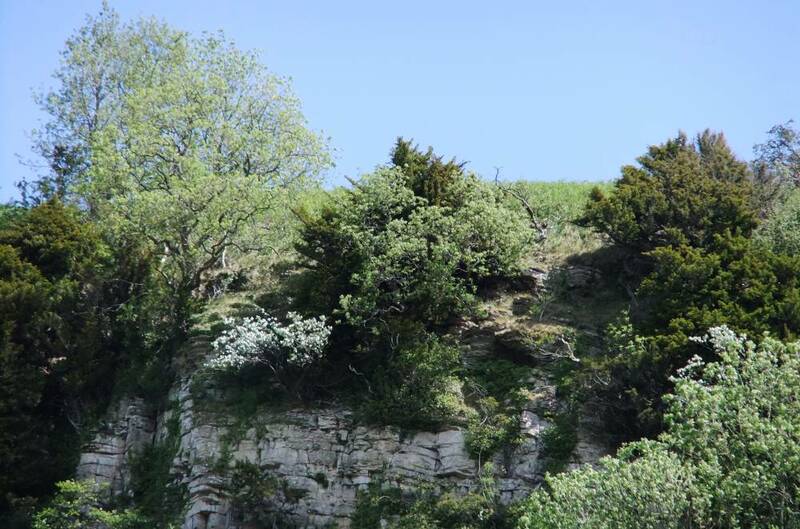 This cliff is within the Catterick Army Training Area Ranges. 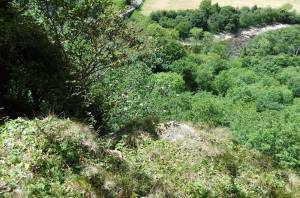 The sheer cliff is inaccessible, DANGEROUS, and should not be approached. Dimensions Approximately 500m in length. Additional Notes Aspect: Facing due west. 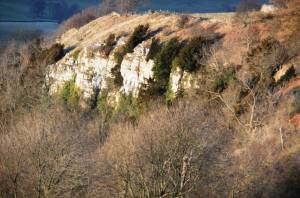 Geomorphology: Sheer massively beddded limestones often destabilised by tree root action. Woodland: a species rich native relict limestone woodland (see photofile) survives on the cliff and on the steep talus slopes below the cliff. Image 1 Description White Scar, Downholme. 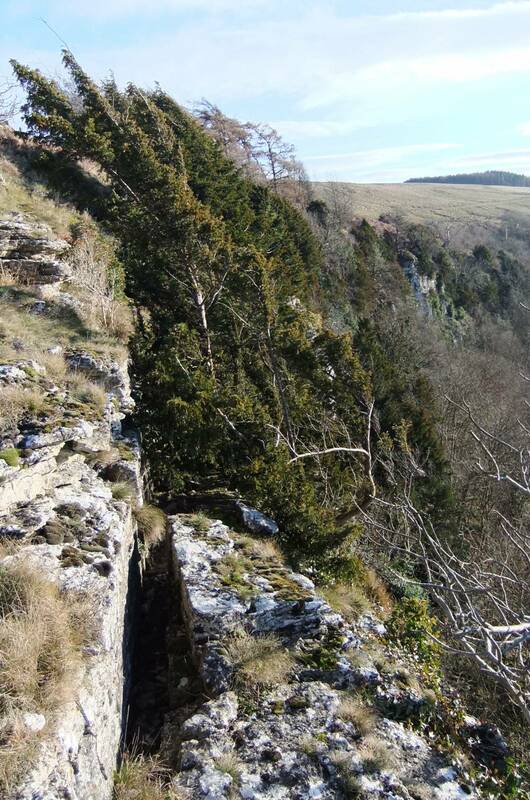 The Scar seen from the west, with cliff yews. Image 2 Description White Scar, Downholme. Downholme Bridge seen from the top edge of the Scar with yews and holly. Image 3 Description White Scar, Downholme. 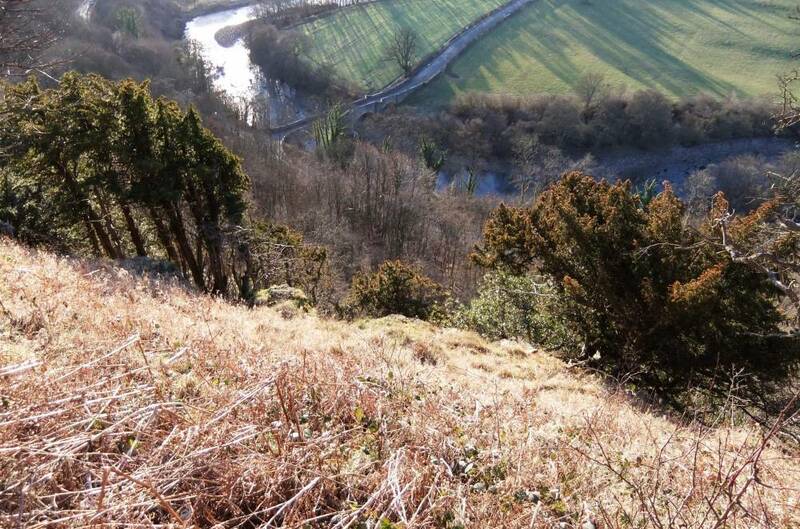 View westward with cliff yews, holly, ash etc and ashwood below. Image 4 Description White Scar, Downholme. The cliff edge with yews, ash, holly and the rare cliff whitebeam. Image 5 Description White Scar, Downholme. Upper edge of the cliff photographed *10 from Downholme Bridge. Image 6 Description White Scar, Downholme. Cliff whitebeam. 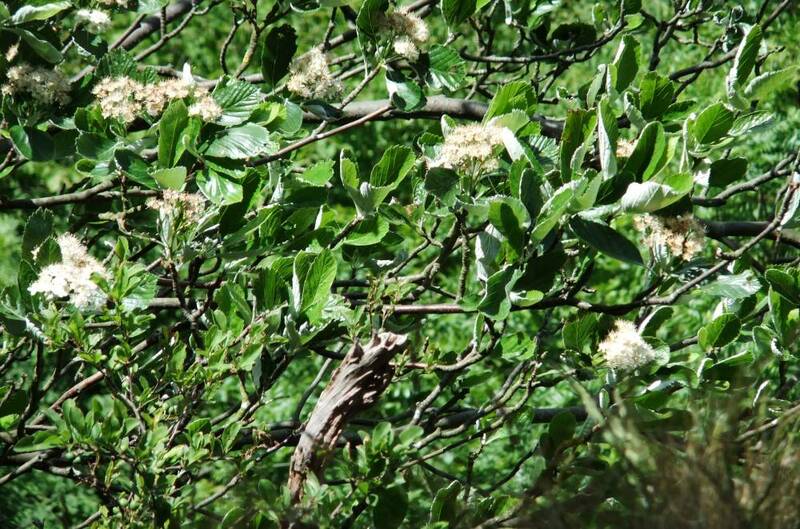 Sorbus rupicola in flower photographed from the edge of the cliff. Image 7 Description Cliff Whitebeam. 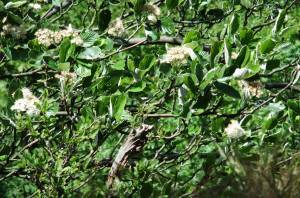 Sorbus rupicola seen from the cliff edge. Downholme Bridge and the Swale below.